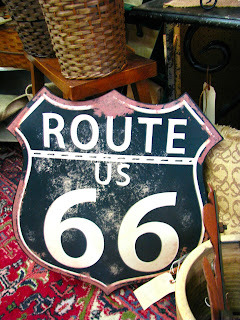 A couple of weekends ago, I attended a blogger brunch hosted by Queen of Hearts Antiques & Interiors. Although I don't consider myself an antique junkie, I have always loved Queen of Hearts because they are so much more than just an antique store. You can find new and old, drab and rehabbed, and antique and modern. Whatever your style, budget, or need, you just might find what you are looking for at Queen of Hearts. First we had a fabulous brunch of sandwiches, grits, fresh fruit and more. Then the owner, Stacey Anderson, quickly introduced the history of Queen of Hearts and the staff and dealers who were present. It was here that I learned that all three locations have a long waiting list of dealers trying to get in on the action!! Next, they gave us all a swag bag filled with amazing goodies, including a gift certificate. :) We knew which bag was ours by the wooden initials. Inside there was soap, milk paint, chalkboard labels, an Eiffel Tower hook, a cookie, & Queen of Hearts cup, note pad and coffee mug. Swag bag with all of my goodies! The rest of our time was spent shopping and taking pictures. 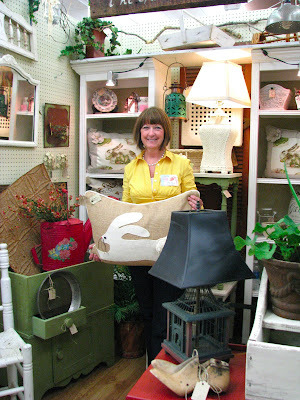 I had so much fun exploring all of the aisles with Angie from Slipcovered Grey. We were there for hours taking it all in, yet when I see the posts from some of the other attendees, they have pictures of things that I never even saw. 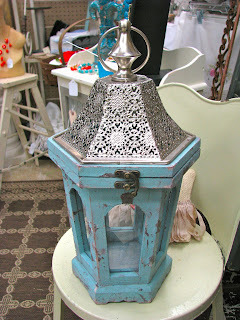 It is just so intriguing to browse each booth and see all of the amazing treasures. It is so neat to know that each piece there has a story to tell. So, here are some of the pieces that caught my eye and most fit my own personal style. Miss Mustard Seed Milk Paint available here! Perfect for an American Girl Garden Tea Party - They are smaller than they look. So if you are in the Atlanta area, checkout one of Queen of Hearts Antiques & Interiors' 3 locations: Alpharetta (which is where the brunch was held), Buford, and Marietta. I would like to say a special thanks to Stacey Anderson, the Queen staff, and the "royal" dealers for a fun event. *Queen of Hearts hosted a lovely event and gave me a swag bag with really great items, but the opinions are all mine. I was not paid, and I was not required to create a post in order to attend the event. This looks awesome! I wish I could have gotten in on the action! I am in Alpharetta and am there all the time! Love Queen of Hearts! I did a post with them in it when we filmed the HGTV pilot shoot. It was in Buford. There are amazing dealers there. The workers were great too. Looks like you had fun. This makes me happy. 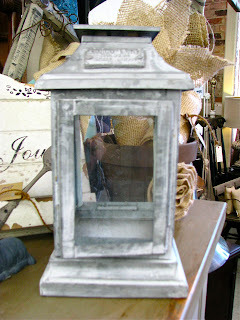 I am dying over that hanging lantern light....gorg!! Wish I lived closer I would spend all day there!